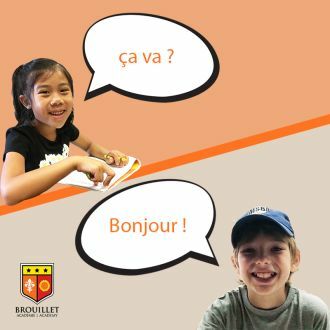 The Brouillet French academy is a revolutionary learning model for the learning style of today’s students! Our fall and winter semesters consist of 10 sessions of 90 minutes of online French structured virtual classes with a rigorous curriculum aligned with the DELF levels. For the upcoming spring semester, we will focus on guided French conversation classes. Our conversation classes will run for 10 weeks from the week of April 15th until the week of June 17th at a cost of $325. Two different courses based on age and comfort level in French will be offered. The primary goal of the 90-minute guided Conversation Classes is to strengthen students' oral expression skills in a collaborative and safe environment, helping them to develop confidence and fluency in the use of the French language. Students will improve their pronunciation, learn new vocabulary, and practice common expressions through various discussion topics, scenarios, exercises and language games. Classes will be led by our experienced OCT professors. Sessions are offered for all levels of French to students of all different French background. This course is an amazing opportunity for your child to be exposed to French and to build on their fluidity. Registration is available now online!